This quote is from a recent opinion blog in Wired Magazine online and it hits the target in clarifying what I have been trying to say to my clients for years now about the difference between Search and Social Media. I know this to be true because of all the social media platforms, I have always loved Twitter the most. I knew that it’s “real time” communications and it’s dynamic quality were key factors in my love affair. David Gelernter goes on to state that this time based quality — which is inherent in New Media— creates new way of structuring time on the internet. This new structure re defines time on the internet, taking it from static websites and search results to the “streams” of data arising from your curated interests that constantly add into your feeds. 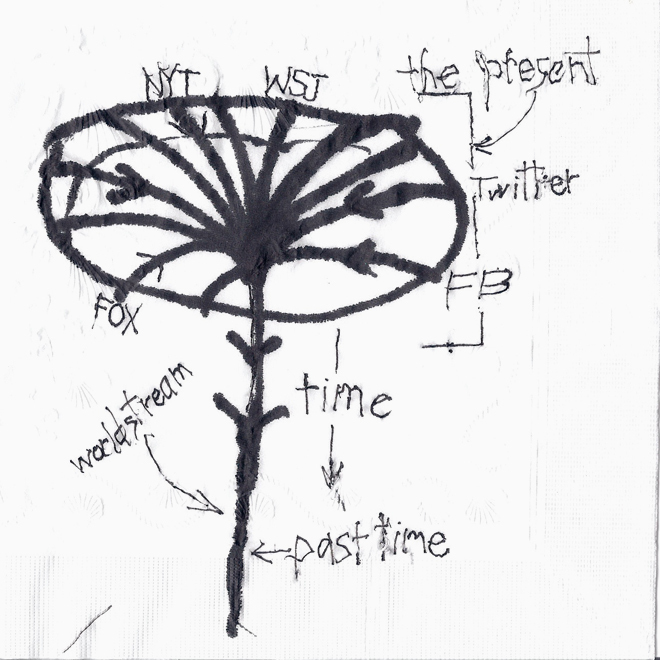 As seen from the author’s sketch below we are at the intersection of the “now” and the “new”. We are now fully engaged and informed by Social Media. Unlike Search which brings up pages for you to review, having your social network set up to monitor people, topics and issues that are of interest, allows you or your business to always be in the moment and in the now of the conversation. This is the Zen state of being. The other awesome point that he makes on this paradigm shift in communications is that this state allows for an abundance of creativity. Again for those of us who love to create content on the fly this is the best place to be as it allows for constant inspiration, insight and interpretation. This is the state of artistic perception that McLuahn referred to in his definition of an artist as being one who “updates consciousness “. 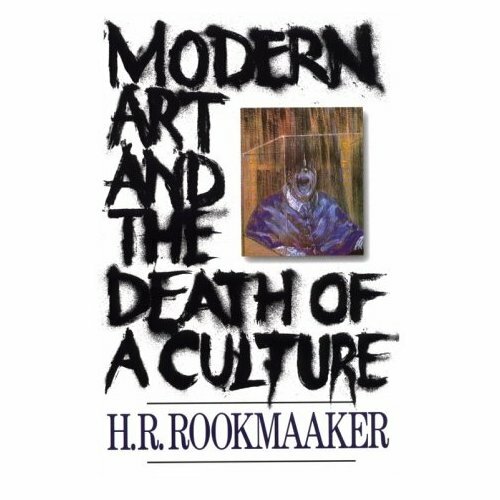 The Artist is one who lives in the moment and not in the past or the future. How true. I have been engage with new media studies for 20 years now and remember the MIT article that I zeroed and keep in my files up until today that speaks of the coming convergence of computers, video and telecommunications. Today we have the net, you Tube and smart phones. What matters most are not the devices themselves but the new real time communication channels of Social media that run across our devices via the internet and deliver great content to us. This in turn allow you to place that information, be it text, image or video, in a context that is relevant to your business – thereby adding value each and every day to your personal life or your business. Over time that value becomes enormous as your networks grow in influence and reach. 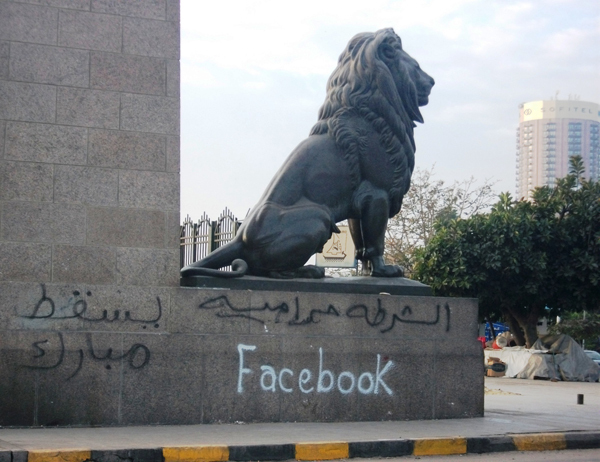 Without a doubt the use of Social Media was a key strategy in the organizing and exchange of information for the initial protests. The government then shut down the Internet providers in order to stop the expotential growth of protesters and its world wide amplification. Within a week Twitter and Google and a team of engineers joined forces to create Twitter Speak. as an alternative work around so that protesters could continue to connect and express themselves. This demonstrates the “speed to market” in which social media platforms can serve their users – one unparralled by those who maintain a business as usual mindset in the face of social change. One of the hardest lessons for those of us who are “agents of change” in the field of technology, art and business is that change does not happen NOW, it takes time. Humans are creatures of habit and old forms of behaviour die hard. Yesterday, the ruling dictator of Egypt asked for 7 months to pack his bags while The President of the USA said change “should begin NOW”. The gap between the two timelines will be filled with chaos.. sticks and stones, broken bones and loss of life. The good news is that technology speeds up the flow of information and the change in Egypt will happen much quicker then ever before in the recorded history of mankind. I am a SociaL Media expert, OK, so now what? Over the past few days I have been having a twitter conversation with @AEB_IT regarding the requirements for calling oneself a “social media expert”. He quotes some guy who says it takes 10K hours to be an expert in anything….. If this “artsy” talk is all too much for you – allow me to give you a sports analogy. I am a fencer. I fence because it is a strategic sport. Why? Cause you learn the rules, train the body mind and soul and then faced with a million split second decisions you BUST a MOVE – lunge – and hit the target bang on! Which, by the way – all boils down to SALES…..
You can call yourself an expert in anything but at the end of the day – you are going to have to sell that IDEA, service or product – in a very creative manner in order to engage your post modern technology driven cultural client and get him/her to trust you and believe that you are indeed an expert in said service, product or idea…. Chances are this potential client never studied NEW MEDIA or read the all time basic primer called The Laws of Media by Marshall McLuhan. but that is not their business….so they are forgiven…you on the other had are under the gun…. Social media is about people – not corporations. It is a “people driven economy”. out in April or May. But if you look back on previous crises, they’ve always been associated with the rise of new economic systems. So, the crisis of 1873 was associated with the rise of the first industrial revolution, and it gave rise to the second. The crisis of the 1930s was the rise of the second industrial revolution and these big steel companies and auto companies, and then we figured out how to make the society work. 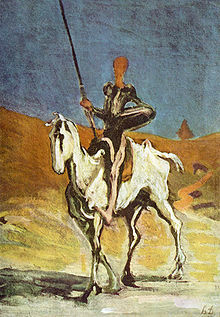 It has been 4 months and the Crisis to which Richard speaks above has become for me – an ongoing EPIC adventure akin to that of Don Quixote. Love the media in the Don's hand, is it a long poking ipad thingy? Armed with an Ipad, in the Spring I set out to take my business of sales and marketing consulting to the next level only to find myself filled with the creative angst of the Shakespearean query: “To Be or Not to Be?” which played out in spades over the spring and summer on a number of different levels with a number of different clients and their needs, wishes and demands. If I had the time or inclination to write down all the bizarre and laughable details it would be too much to believe, so allow me to speak in the sweeping terms of the times in which we live – and say that I have been off tilting at the windmills which represent old media vs new media while at the same time poking away at the Creative vs the Scientific, parrying between Male vs Female ways of thinking, engaging in left vs right brain processes and finally, lunging at LIFE and DEATH. At one point the questions was posed as to why we were so terrified and disconnected when confronted with our own death or that of our family or loved ones. I tweeted out the word: “ARMIES”. Buddy was completely taken back, shocked at the single keyword which escaped my mouth like the a bird eating a small seed, quickly. The word came at him from what he thought was left field and he dismissed it as having no relevance to the rest of the conversation. All I can say is you cannot study the Media Theory of McLuhan for over 10 years and not know his theory on print and its relationship to citizen armies. If McLuhan is dry then try Bob Dobbs and the “Print Bastards”. Same difference. Greatest Salesman who ever lived! The theology holds that “Bob” is the greatest salesman who ever lived, and has cheated death a number of times. 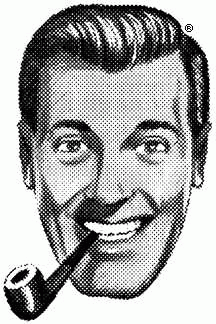 He was famous for his SubGenius publication, SubGenius Pamphlet #1 (a.k.a. “The World Ends Tomorrow And You May Die”) (1979). Whatever. If looks could kill I would have obliviated after that word “ARMIES” flew out of my mouth. From there on in I was cut off from an opportunity to expound on McLuhan or Bob Dobbs and had to listen instead to hours of discourse on Beuwolf, which incidently had been required reading prior to class. I had googled the word Beuwolf and done the wikki check and found that it was some old english manuscript which made my hair want to fall out at the very thought of reading it so I got the equvilent of the Coles notes, reading the kids version which I picked up at Indigo. Before the class I scanned the book and looked at the pictures. Shortly after my word was dismissed the history lesson began. I soon revealed my ignorance of British history by saying I did not know who Cromwell was. Back in my room later on I googled: Citizen armies on my IPAD and landed on the page below. 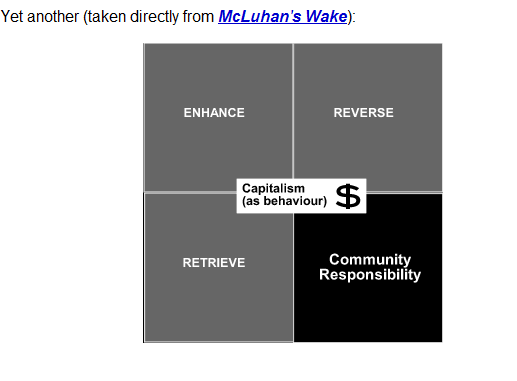 The image says it all but the page honors McLuhan. DUH. Somewhere in a past I recall that I actually made an animated short on this concept — it is in storage somewhere…. Someday when I retire from this rat race or the world becomes truely aware of the environment in which we exist – and no, I do not meant the toxic slug of the old captains of industry — I will digitize my animated short and post it online…for now it is enough for you to study this picture and visit the link. I am trying to warm up to the idea of writing on creativity NOW…reading some online stuff and looking at tweets on the subject…it is a tricky subject cause everyone is an artist these days but no one wants to think creatively cause it is still too ‘out there”. Having been a creative all my life I find that the “creative class” as defined by Richard Florida is being bashed. BTW, he is moving to Toronto to teach at U of T! http://bit.ly/B5wAZ I just ordered his book “Whose your City?” I guess it is clear that Toronto is Richard’s! The TO Post article writes, “In his most recent book, The Flight of the Creative Class, Mr. Florida foreshadowed his move to Toronto by pointing to all the American scholars who were drifting to Canada and Western Europe where he says better government-funded research opportunities are offered”. I guess not too much has changed since I wrapped my head around this issue over a decade ago…when I emerged as an up and coming Canadian Animator…creative still means access to some sort of funding in order to be so. It used to the the Church and then the state and now…it is still the government of Canada and Europe. In America creative is an online start up. I still think the most creative types today can be found in business. About his search for a home in Toronto Richard says “When touring Toronto’s neighbourhood’s in search of his new home, Mr. Florida said he acknowledged high market prices, but his theory maintains that to an extent, it’s worth investing in expensive housing within a city’s core to avoid long commutes. “It’s important not only as fuel costs rise, but also time costs rise. Do you want [people] spending two or three hours commuting when they could be spending that time thinking and being creative?” he said. Here, here, that is exactly what I am doing in this August long weekend, sitting in my home office at about mid town Toronto chilling above the Caribana madness, thinking and being creative! Richard Florida Welcome to Toronto!